Arduino boards and custom clock builds seem to be a great match, as illustrated by Görkem Bozkurt’s recent project. 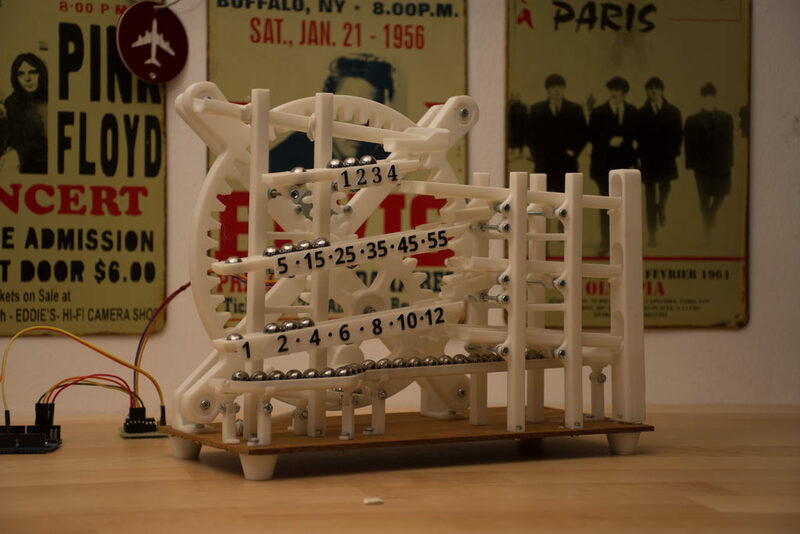 His 3D-printed marble clock uses a stepper-driven gear mechanism to lift 11mm steel spheres to the device’s top chute. The spheres then roll down to a five-minute rail, which empties when filled and transfers a single marble to another minute rail, graduated in five-minute increments up to 60. This then fills the hour rail in a similar process, letting you tell the time of day, or simply be mesmerized by its movement. 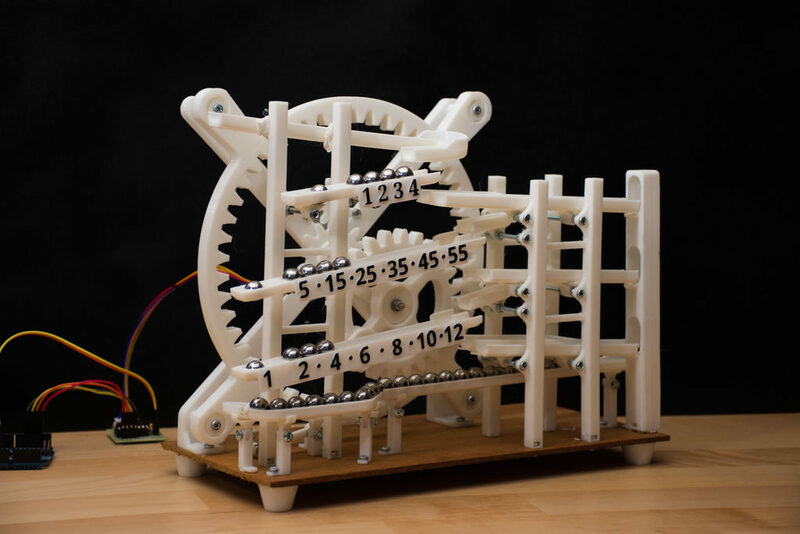 The main gear mechanism is powered by a small stepper motor, controlled by an Arduino Uno for timekeeping. If you’d like to build your own, code is available on Bozkurt’s write-up, as well as the needed print files.